Had anyone built or converted a Chilli Breeze electric power? Hi Stuart, I built one in 1994 with a i.c SC32 in which had a Martin Forest silencer (remember them), it flew superb either way up, would fly extended knife edge up and down the flight line with turn-a-rounds done with elevator at the ends and then land at my feet. A Electric conversion or version sounds ideal, I'll be watching. Above a RCME / Modelflying picture link. Stuart I've found this on the YouTube site. with a Emax 2820-07 with 10x5 APC 40A ESC and 4s Lipo﻿ set up. Hi, I still have my electric Chilli Breeze, powered by an AXI 2820/10 on a 3 cell 4000 mAH lipo. I'll dig out photos a bit later. 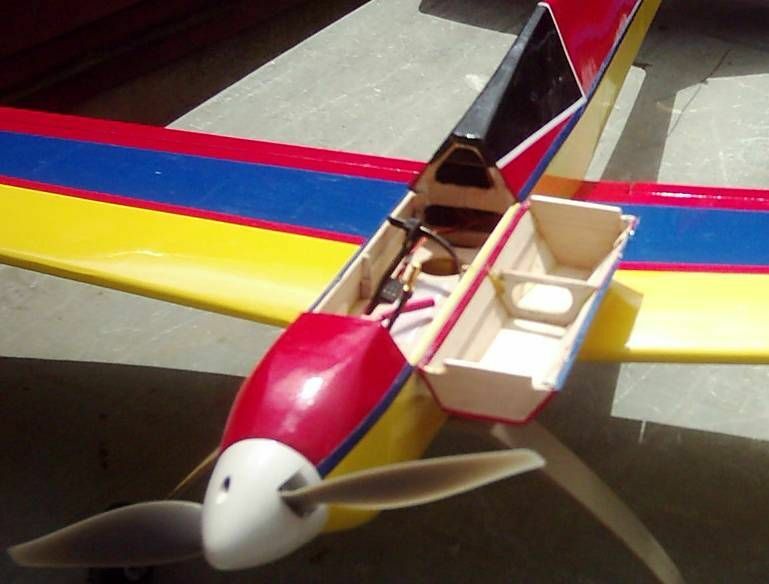 By the way I cut my aerobatic teeth on the Chilli Breeze a long time ago before it got re-kitted! Nigel, would it be possible to share the details of your Dad's power set up in his Chilli Wind? Most grateful. Many thanks I would also be interested in your Dads Power set for his larger model . Adrian, Stuart, sure I will find out some details next time I speak to him. A couple of pictures of mine - I built it specifically for electric, so incorporated the large battery hatch to make things easy. Nice one Tom. 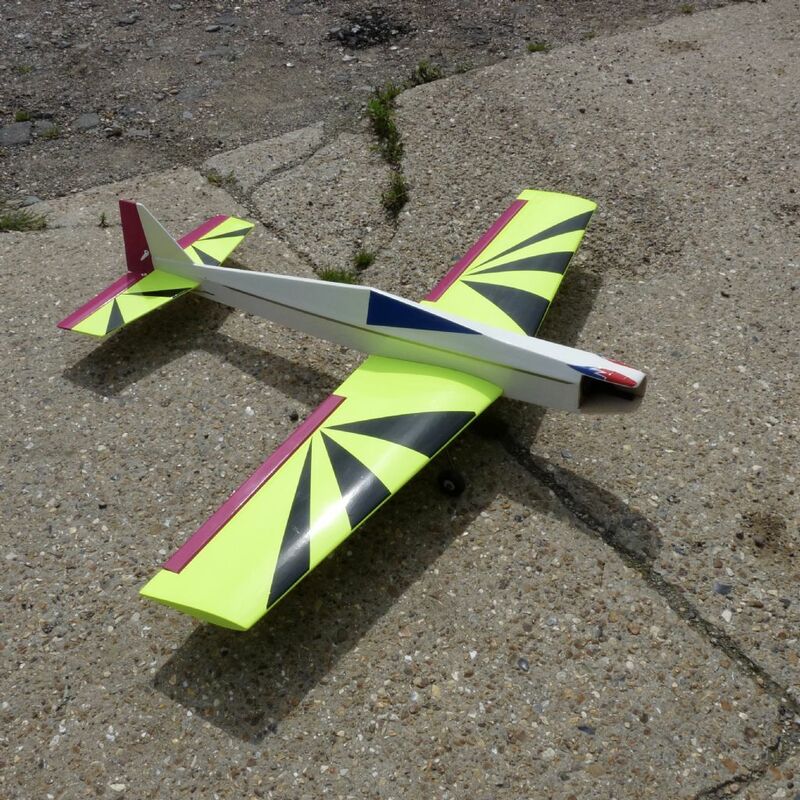 I hope to post a couple of pics of my Chilli Wind airframe a bit later today. Mine was built from the free plan (with built-up wings), with tweaks to suit its' electrification. Here is my effort at the Chilli Wind, but I never got round to fitting her out. Still on the shelf in my workshop until I decide what to do with her. I don't know if the Mike Delacole plan is still available. It was 1648 from Nexus Plans. Nice little plane at 57" for 40-50 size glows. I started off on the Chilli Breeze then flew a Chilli Wind that I made some years ago. Sadly I wrote that one off too. . I think I put an OS 40FP in it at the time. The shallow nose area works well with an electric install. "until I decide what to do with her." Fit a piped 46 or 52? The electric setup is very similar in weight to the IC fitment. With the Lipo under the hatch that you see in my picture, the CG came out very slightly nose heavy - about 25gms (one ounce in real money) under the tailplane sufficed. Hmmm, I suppose something in the region of a 2200 4cell may fit, Stuart. Unless others know different?